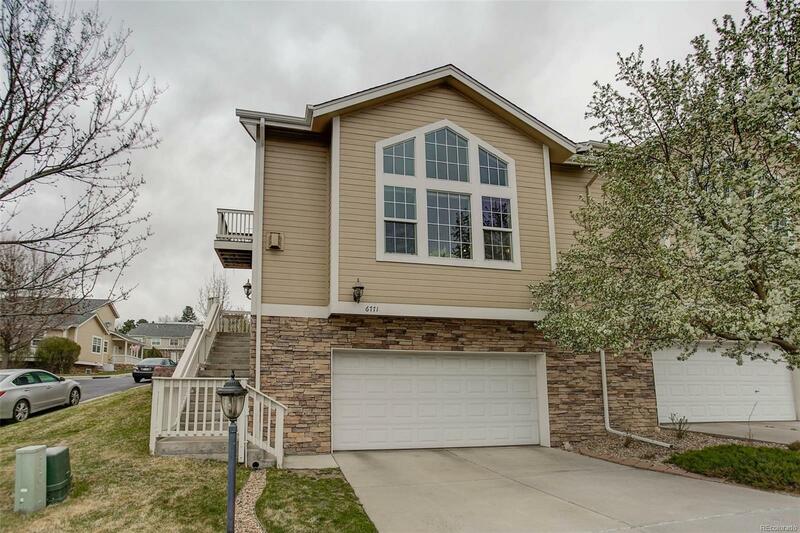 Beautiful town home in Thraemoor with STUNNING mountain views! Sits up high and far back from Yale. Southern-exposure. Vaulted ceilings and huge windows flood in natural light. Open, flowing floor plan. Gorgeous cherry wood cabinetry and granite countertops in kitchen and baths. Stainless steel appliances in kitchen with motion sensor faucet, duel gas & electric oven range and 5-Stage RO water filtration system. Spacious loft has deep closet and private balcony. Two main-floor ensuite masters! Largest master offers 5-piece bath with jetted tub, light dimmers and duel sinks. Hunter Douglas Up/Down shades throughout main floor with light blocking shades in bedrooms. Finished basement has garage access, full bath and one large bedroom (easy two-bedroom option). Oversized finished garage is wired for workshop with built-in cabinetry and deep under-stair and raised storage. Centrally located! I-285 ushers you into the city or foothills. Walking distance to park and Bear Creek trails.